fototazo: The Image: Arturo Soto, "Kitchen window, 21-10 Broadway Apt. 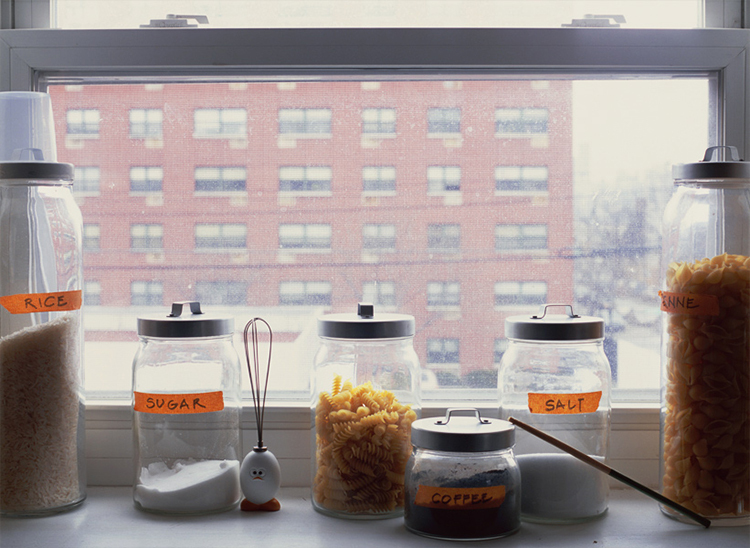 3, Astoria, NY, 2006"
The Image: Arturo Soto, "Kitchen window, 21-10 Broadway Apt. 3, Astoria, NY, 2006"
© Arturo Soto, Kitchen window, 21-10 Broadway Apt. 3, Astoria, NY, 2006. From the series, "Some Windows Later"
Why does one photograph a certain thing at a particular time, in a particular way? How does an image grow in importance over the rest of the images that one makes? Are significant images important from the moment they are made, or do they have to linger in archives indeterminately in order for one to recognize their importance? I think that we sometimes want our images to speak too much too soon. We want them to say more than even we are capable of saying. Of course, the opposite also happens. Some pictures are completely meaningless when we make them. So, why do we make them then? Perhaps we need to finish a roll of film (a romantic thought, I know); perhaps we need to make a quick test, or maybe we just want to click the shutter without really thinking about a specific purpose. The photograph above is such a case. I made it in 2006 at home, on a winter day when I did not want to go out. I needed to finish a roll of slide film, so I decided to make an exposure test of a backlit subject. Years later, I was looking at old negatives for a forthcoming exhibition and realized that I had taken many pictures of the windows (or their respective views) in the different places I had lived in. It was an exciting discovery for me, since I had done it subconsciously, and I remembered a verse by Paul Celan that had stuck with me: "seven roses later plashes the fountain." I found the idea of measuring time in terms of roses, or of windows in my case, intriguing, so I decided to title the series "Some Windows Later." I am interested in how the everyday shapes our experience. Sometimes the minutia of our lives reveals a human dimension that is otherwise hard to grasp. The labels on those jars take me back to a place in my life that is now lost in the flow of time. Photographs are particularly well-suited to capture things that we didn’t know that we wanted.